Wouldn’t you love to finish the holiday season feeling happy and healthy? You can by following a holiday pre-tox. What’s a pre-tox? First, I’ll tell you what it’s not. It’s not a drastic diet or change. It’s not a juice fast, a 21-day elimination diet, or special supplements. Instead, a pre-tox are simple steps to take to avoid emerging from the holidays with added pounds, belly bloat, and a hung-over liver. Why do you need to pre-tox? Holiday festivities may include alcohol (the original toxin to the liver), more dining out and foods consumed outside the home, (and perhaps non-organic), and desserts make with artificial colors, flavors, or sweeteners. So, what is a pre-tox exactly? A “pre-tox” is a health promoting strategy you can do prior to an upcoming holiday. To achieve optimal results, the strategic tactics last between 3-5 days. This allows you to enjoy the season without dreading what you’ll see in the mirror come the new year. The pre-tox will encourage you to make better food choices throughout the holiday season and help your body’s own detoxification pathways keep moving bad things out in spite of the occasional splurge. The 5 tips for your pre-tox blueprint targets your adrenals, those walnut sized glands that secrete the hormones associated with the fight and flight response - stress metabolism, to keep up fat-burning enzymes; and the liver, the workhorse for moving toxins out of the body. 1. Start seeing double – that’s double the veggies please! We know that vegetables are a liver’s best friends, especially organic vegetables. Cruciferous vegetables like broccoli, cauliflower, kale, Brussel sprouts, and cabbage contain glucosinolates used by the body’s natural detoxification factory found in the liver. Broccoli, the king of glucoraphanin – a glucosinolate that transforms into sulforaphane, which is a star player in your body's detoxification pathways. Snacking on al dente broccoli with avocado or hummus gives your liver plenty to love. Pre-tox tip #1: For the days leading up to holiday dining or festive party, fill up at least half of your plate with vegetables. Think of doubling the normal portion of vegetables you eat. Plan to have a dark green salad (arugula, romaine, green leafy lettuce) for your lunch or have at least one leafy green vegetable every day (spinach, Swiss Chard, kale, dandelion greens) with eggs, side dishes, or add to your smoothies. 2. Stay sane with sugar! Does it sound sane to choose white wine, sweet potato soufflé and pumpkin pie at one holiday gathering? Only if you want to go into a food coma! The holiday season means sugar-soaked everything. Remember that a holiday is a holi-DAY…it’s not a holi-week, or a holi-month! This means be intentional when you choose your sweet indulges. Being choosy is a good trait to have when it comes to holiday treats. Not every sweetened treat you meet deserves your attention. Choose wisely. If this food is available anytime (not seasonal) give it a pass. Leverage what’s called the “sensory specific sensation.” Research shows that the first 1 to 2 bites is what provides that orgasmic feeling when we have that bite of dark chocolate peppermint cake. Going beyond that doesn’t give us any extra pings in the reward center of our brain. In fact, it can make us need more of sweetened foods to hit the sweet mark! Pre-tox tip #2: Embrace the 3-bite rule and make them petite bites! Take a few days off from indulging in sugar-centric holiday foods to give your body a chance to maintain its natural detox process. Bonus tip: choose between alcohol-based drinks or dessert, not both on the same day. 3. Sleep – the gift that keeps on giving! Numerous research studies verify that lack of sleep interferes with specific hormones resulting in a change in our appetite (we crave sweeter high-carb foods) and metabolism (tougher to build muscle) plus interferes with weight loss or maintenance. Sleep also contributes to a healthy immune system. Given the increased number of hugs during the holidays, keeping your immune system in top shape can keep those sniffles at bay. The goal is to strive for 8 hours of restorative sleep each night. During the holidays there may be a few late nights or early morning alarms. If you are already having sleep challenges, the frenzy of the holidays will amplify these issues. Plan accordingly to keep your sleep debt low. Pre-Tox Tip #3: “Bank” your sleep time. Sleep experts generally do not suggest that we try to make up our sleep debt on the weekends but if you have an upcoming holiday evening (or two) in your future, take advantage of the nights leading up to that event and add an extra 30 to 60 minutes to your slumber. Low humidity, indoor forced dry air, along with increased alcohol containing drinks, can leave hydration levels on the borderline of dehydration. Low hydration levels dip metabolism (aka, how many calories you have burned). Make an effort to drink more filtered water and water-based fluids during the holiday month. To give your metabolism a temporary boost, try green tea. Green tea is full of EGCG (epigallocatechin gallate) which boosts glutathione, the master antioxidant our body needs to activate the pathways that keep our cells healthy and prevents premature aging. To calm the nerves and relax smooth muscles in the stomach, try chamomile tea. For bloating and excessive gas, organic fennel tea is a carminative which blasts through those gas bubbles leaving you with a quiet and flatter tummy. When it comes to alcohol, remember that alcohol + sugar equals a fat bomb! Best to save alcoholic drinks for special holiday gatherings and take several days off between holiday outings to give your liver time to detox this ultimate toxin. Pre-Tox Tip #4: Start drinking warm filtered water with ½ of a freshly squeezed lemon on waking every morning. This small dose of daily TLC for your liver can be used during the holiday season and beyond. The liver is extremely active during sleep, since this is when your body restores and regenerates itself. Drinking lemon water in the morning allows you to flush out the toxins that have built up over night. The liver and kidneys are the primary detox organs but sometimes they can’t get rid of certain toxins efficiently because the load is too much for your body. What doesn’t leave gets stored in fat tissue. Sweating can help keep the toxicants moving out. Your skin is your body’s single largest organ for eliminating unwanted toxicants from alcohol to mercury. Maximize the detox abilities of your skin by working up a sweat at least three times a week. If you have a regular exercise program, keep it up during the holiday season or even better, pick one day to kick it up a notch for some of that extra glitter. Even a daily walk will benefit since intentional physical activity boost our natural pain and stress reducing endorphins helping to relieve the added stress of the holidays. Plus, a walk after a meal helps to get glucose into your muscle cells instead of hanging out in your blood contributing to elevated blood sugar. If you’re not an exerciser now, check with your healthcare provider before engaging in an exercise program. Pre-Tox Tip #5: If sweat-producing exercise isn’t an option, try a sauna, steam or detox bath to get your body sweating out those extra toxins while stealing some time to relax. To make a detox bath, add 1-2 cups of Epsom salts to bath water along with several drops of lavender oil. Bonus tip: If you already sweat it out at a spin session or hot yoga, ditch the trend of wearing sweaty athleisure wear all day. Hit the showers and use soap to help carry away the fat-soluble toxins. Without that shower, you may end up reabsorbing those toxins you worked so hard to release. A pre-tox can help keep your metabolism humming, bolster your adrenal glands (they govern stress, energy and sleep) and liver function (to help detox alcohol and handle fatty foods) as well as pumping up serotonin (mood-elevating) levels. Don’t just hope to survive the holiday season, thrive through the holiday season and welcome the new year healthy and happy! 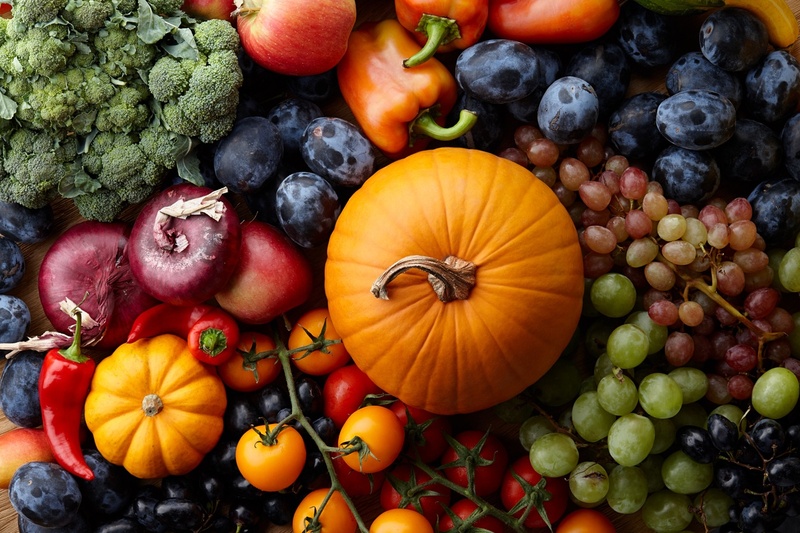 If you like the way you feel while you pre-tox during the holiday season, you’ll love how you will feel taking the upcoming “21 Day Detox with the Dietitian” 2019 program. Kick off call begins January 10. 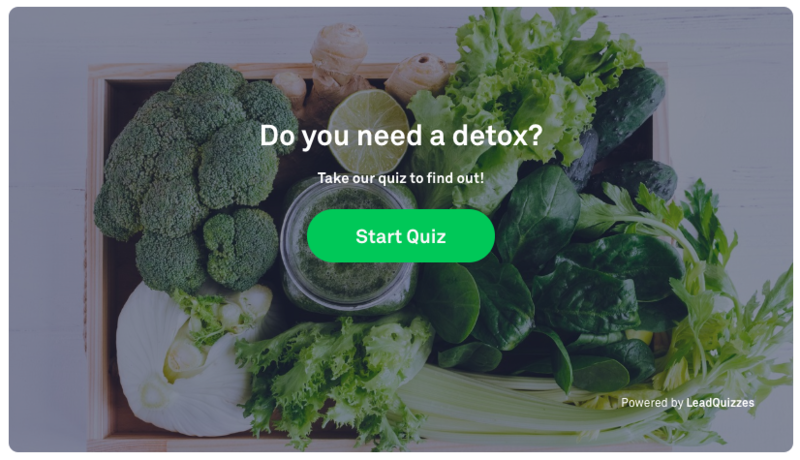 Unsure if you need a detox? Take our quiz now!